We are excited to announce that JW Player’s April 2018 product release is now generally available. 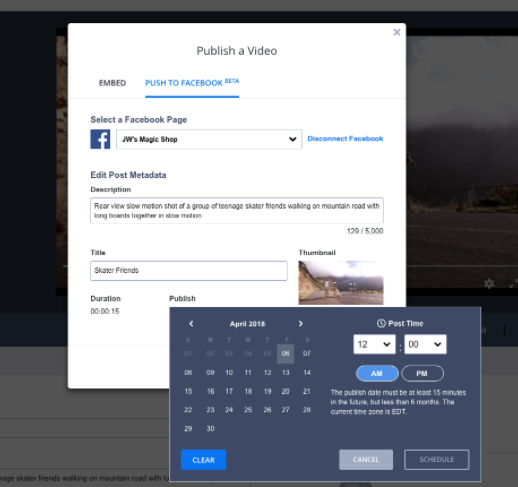 Deepen audience engagement with your content: With our beta Facebook Publish offering, seamlessly publish videos to Facebook, directly within the JW Platform. Let us know if you want to get early access to our Facebook Publish beta program. 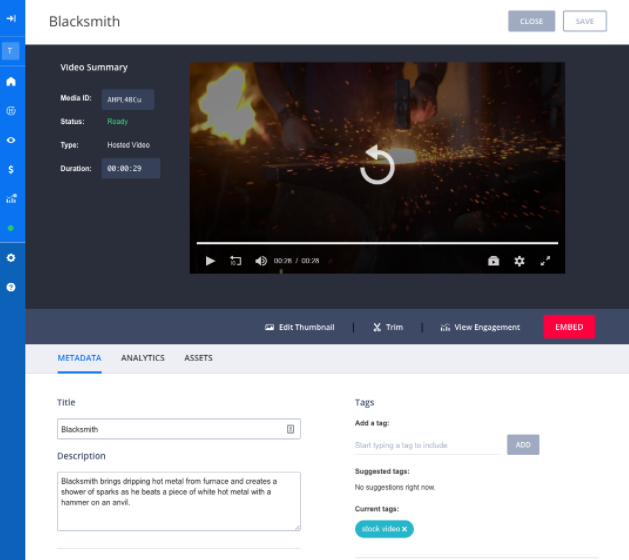 Enhanced workflows that save you time: Work smarter in the JW Platform, with one-stop access to video content management and analytics. 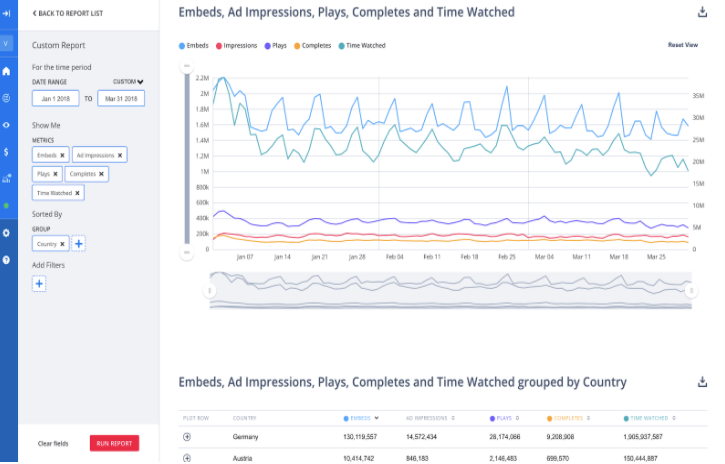 To dive deeper into our April 2018 product release, please watch our client webinar, which takes a deeper dive into our enhancements. Additionally, you can read our release notes to get more detailed information on any of the enhancements. Finally, registration is now open for our May 15 product highlights webinar -- please sign up today! Thanks for your continued support of JW Player. Allyn Horne is the VP of Product Marketing at JW Player.